I feel very passionate about my work as a make up artist and find it very rewarding to create beautiful make up looks and seeing the confidence it can give a woman. After doing wedding make up for nearly 17 years, I feel very privileged to have been part of so many brides’ big day and creating stunning looks for the bride, bride’s/groom’s mum and bridesmaids. 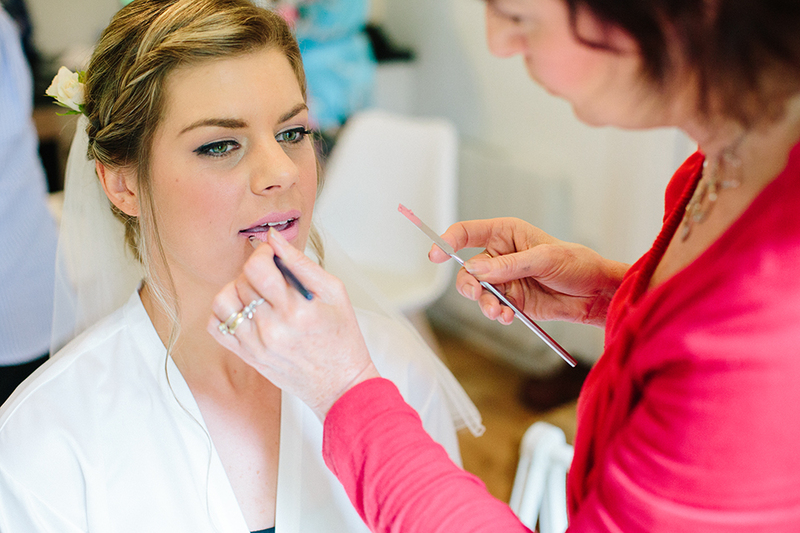 As well as weddings, I have done make up for all sorts of occasions, including make up for photo shoots, proms and balls, family photos and for social media photos. I really enjoy giving make up lessons, be it on a 1 to 1 or within a master class, as I love to demonstrate my make up skills and teach ladies tips and techniques, which literally takes years off a person and, seeing their skills develop and the looks they can produce, is really exciting. In 2005, I became a practitioner in Remedial Skin Camouflage and provide skin camouflage consultations. As well as being able to use these skills in my make up artistry work, it has also been very rewarding to be able to teach people with something like a scar, vitiligo, rosacea, psoriasis or a tattoo, how to cover effectively the area and at the same time, look very natural on the skin. The difference this can make to a person’s life is tremendous, giving confidence to go out and live life without feeling self-conscious. I also do expert witness work using my camouflage skills for solicitors where personal injury/negligence clients have resulted in scarring and produce medical Legal reports following a consultation. In 2007, after volunteering at Nottingham City Hospital, I became a Regional Co-ordinator for Look Good Feel Better and helped to set up this service at the Leicester Royal Infirmary. Here we provide skin care and make up workshops for ladies going through cancer treatment, with the help of beauty volunteers, mainly from the make up counters at Boots Fosse Park and freelancers. This is incredibly rewarding, especially showing ladies how to emphasise their eyes and eyebrows, when they have lost, not only their hair but lashes and brows as well. The banter and fun between the ladies is wonderful to see and many a friendship has been formed as a result of ladies attending one of these sessions. In 2012 I became a consultant for Neal’s Yard Remedies, as I had been looking for some time for a lovely range of organic skin care I could use on my clients, as I believe if your skin looks good, your make up is going to look even better. I was awarded one of the Top 10 New Business Builders in 2013. This has been an amazing range to use and company to be part of, as you really do see a difference in the condition of your skin after using and it has transformed my skin care treatments to such a degree that it has reignited my passion to provide beautiful, holistic facial and massage treatments for my clients, which I trained in several years ago. Moving forward, I hope to develop each area of my work, all of which I feel are on the theme of helping women to look and feel fabulous.